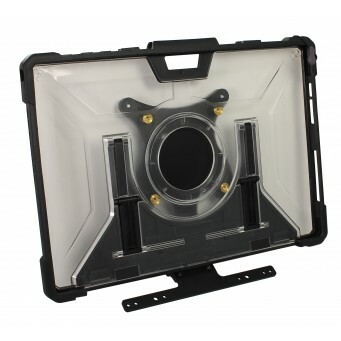 Turn your Microsoft Surface Pro tablet 4, 5 or 6 into an eye gaze controlled tablet with this holder (Surface Pro and eye gaze camera not supplied!). 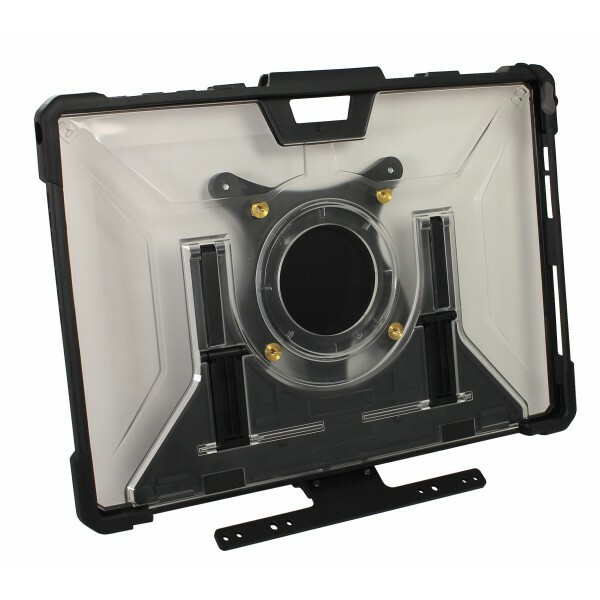 A UAG rugged case protects your Surface Pro and the adjustable eye gaze camera bracket lets you attach a range of eye gaze cameras. 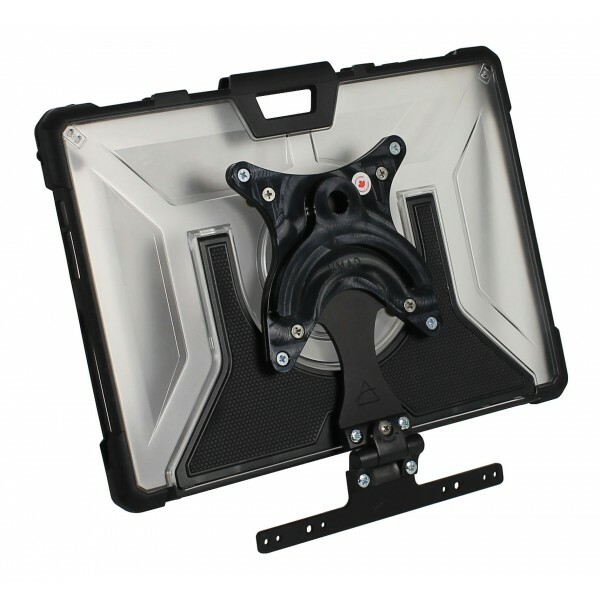 Daessy mounting plate included.